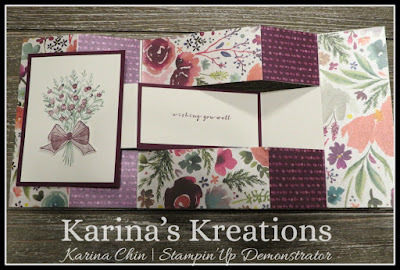 Karina's Kreations: Wishing You Well Stamp Set of the Month Card! 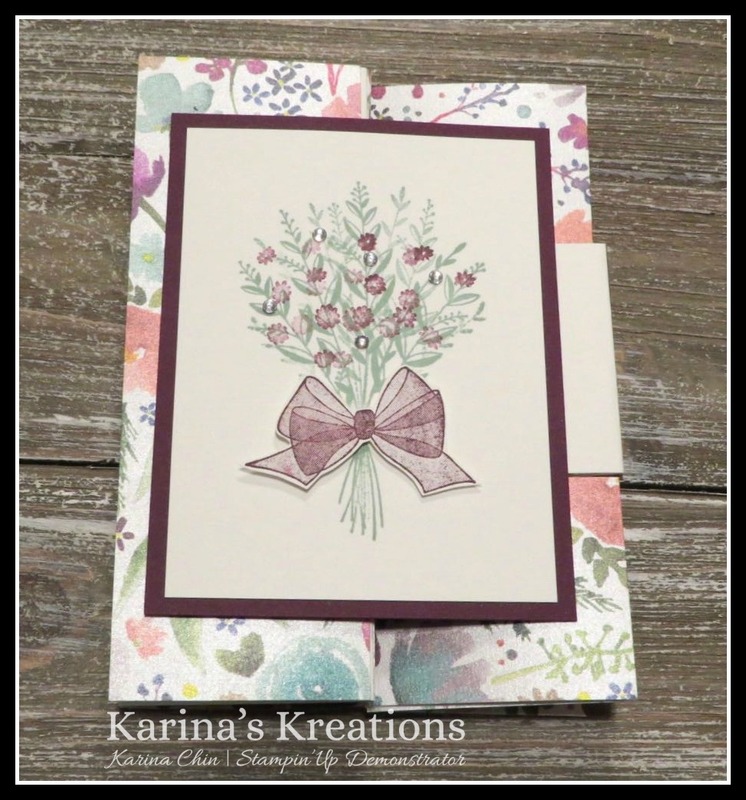 Wishing You Well Stamp Set of the Month Card! This card is part of my stamp set of the month. It's a fancy fold card that is really fun to make. Base is 5-1/2" x 12" scored at 2", 4", 8", 10" on the long side and 1-3/4" and 3-3/4" on the short side. Cut the inside score lines from the first to the last score line or from 2" down to 10". You need (2) 2" x 5-1/2" Frosted Floral Designer Paper, (2) 1-3/4" x 4" Designer Paper, (4) 1-3/4" x 2" Designer Paper, (1) 1-3/4" x 3-3/4" White, (1) 2" x 4" Blackberry Bliss, (1) White 3" x 4" and (1) 3-3/4" x 4-1/4" Blackberry Bliss. I have a facebook live video on this link Video for this Fancy Fold Card!